Call Now For This Special Online Deal! 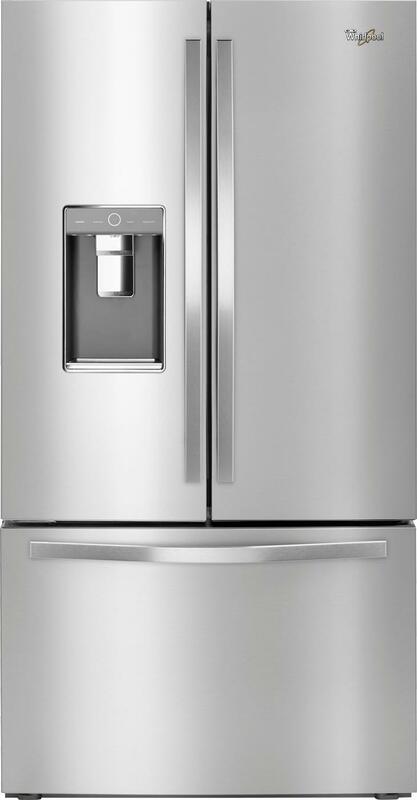 Update your kitchen with this 36-inch Whirlpool French door refrigerator. It offers a total of 32 cubic feet of space organized into a pantry layout that lets you store up to 20 percent more than standard refrigerators. This Whirlpool French door refrigerator has dual ice-makers and eight gallon door bins for optimal storage and easy accessibility. * Sale Prices includes “C” Grade Models. Price is dependent on Appliance Grade. Awesome place, with awesome people to deal with! Awesome selection. We purchased a 4 drawer stainless steel fridge on father day. Everyone was very helpful, went the extra mile to help us and get us an awesome deal. Prices can not be beat! They even got it delivered for us the same day! Will be back to buy a new range and all other appliances . Make sure to check them out!